On a whim, I signed up with this VoIP provider called Pennytel. There's no contract or anything. All you need to do is sign up online and register for a free account with them. Create a wallet and top it up with some funds, either via BPay or credit card. BPay takes three days to clear; credit cards even longer. All of which are not applicable to me. With no other options left (aside from buying a new ADSL2+ wireless modem/router with built-in VoIP and firewall), I decided to flash my firmware. 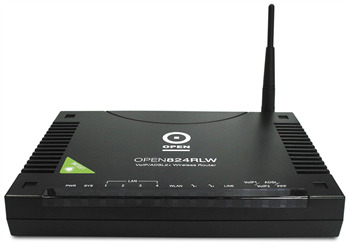 Now, the Open Networks 824RLW only goes up to as high as the Open 5.53 firmware. If I wanted something newer and better, I have to reflash my box to Billion's 5.54b firmware. And I did so at great risk to my box, but in the end, it's still 32-second VoIP calls. So, last week I sent a postcard to my Bavarian friend to let her know that I'm in the country. She's quite mobile, so I sent the postcard to her parent's place to make sure she receives it the next time she visits home. As luck would have it, her sister was home, intercepted the postcard and told her about it. Given that Karlsruhe is not that far, she's spending the weekend in Munich to catch up with her friend and me. Seven years later after Suomenlinna, we meet again at the hotel lobby. After a long breakfast at Vi Vadi Cucina Italiana catching up, we take the train to Odeonsplatz and headed for the Munich Residenz. Given our limited time, we decided to explore only the Residenz Museum and skip the Treasury. As I paid for our breakfast, AW insisted on paying for the museum entrance fees. The Residenz Museum is one big museum. Could easily take a day to explore if you use the audio guide for all the rooms. Inside are mainly apartments, ceremonial rooms, and courtyards of the Wittelsbach rulers. A big portion of the palace was destroyed during WWII, so some of the rooms have to be reconstructed. Most memorable for me is the Hall of Antiquities, the Reliquaries Room, and the Ancestral Gallery. The Hall of Antiquities (Antiquarium) was used to house the antique collection of Albert V, which later became a banquet hall. The Reliquaries Room a.k.a. Reliquienkammer. Inside this vault of a room are more than 60 reliquaries, containers specifically crafted to house relics, typically bones of saints and objects associated with them. One of the reliquaries on display is said to contain the severed head of St. John the Baptist. The same claim is made by many other religious parties. The Ancestral Gallery (Ahnengallerie) is a very long corridor where the portraits of the notable members of the Wittelsbach dynasty are set into gilden carved paneling. By the time we finished the self-guided tour, it's way past lunchtime already and starting to rain. I was surprised to find out my friend is actually vegetarian. Took the train to Sendlinger Tor for lunch at the popular Prinz Myshkin (Hackenstraße 2, 80331 München). I would've liked to take pictures of its high-ceilinged interiors, but didn't anymore. Another long lunch where we made sure our vegetarian food is properly digested. On our way back to the station, we passed by a small church with a striking facade in the Baroque style. It's called the Asamkirche (Asam Church), after the two brothers who designed the church; officially known as St.-Johann-Nepomuk-Kirche (Church of St. Johann Nepomuk). Cosmas Damian Asam and Egid Quirin Asam, who lives next door, intended for the church to be their own private place of worship. The church hierarchy didn't like the idea, and demanded it to be opened to the public. Unfortunately, the church is closed at this time, but we managed to get in and peek through the gates. The church may only be twelve rows of pews long, but the interior is chockfull of statues, sculptures, ornaments, and frescoes. The high altar is surrounded by four twisted columns with a wax figure of the church's namesake within a glass sarcophagus. It's now 4pm, and we decided to spend the rest of the afternoon at the Deustches Museum, said to be the world's largest science museum. The bad news is the museum closes at 5pm. The good news is, entrance is free after 4pm. With half an hour to spare, we jumped straight to the exhibits on new technologies. With 55,000 sq. m. and 28,000 objects covering around 50 fields of science and technology, we've merely scratched the tip of the iceberg. By 5pm, all of the parents and their kids came streaming out of the island museum. So this is how German families spend their weekends. Back at Hauptbahnhof, we killed more time by having a long coffee break at Starbucks, until it was time for AW to take her train back to Karlsruhe. Auf wiedersehen, my Bavarian friend. Another early dismissal. If this goes on further, I'll have to ask for a refund. Not. From the Theresienwiese station, it's just a short walk to St. Paul's Kirche. It's an early Friday afternoon, but I notice a lot of teenagers hanging around the church, preventing me from getting a good shot. Apparently, a student choir/orchestra is about to perform inside the church. Stayed around for a few minutes to enjoy the performance, then left. Took the train to Schwanthalerhohe in search of Bavaria (the statue). I figured it would be pretty big and easy to spot. Not so. I managed to circle the whole Bavariapark before I saw the Ruhmeshalle (Hall of Fame) and iron-cast Bavaria. Quite impressive in size up close. Down below and in front of the Bavaria is this wide open space, which I believe is used for the Oktoberfest celebrations. In the distance, one can clearly see St. Paul's Church. Next item on the agenda is Max Weber Platz to see the Maximilianeum, home of a gifted students foundation and the Bavarian Landtag (state parliament). Reminds me very much of the Victor Emmanuel Monument in Rome. Took some pictures of the River Isar, then back to base. Another early finish to the day. My classmates (mostly guys) advised the place to visit is the BMW Complex. From the Olympiazentrum, it's a short stroll to the BMW Welt (BMW World). Note that this is NOT the BMW Museum, which is the silver bowl-shaped structure across the road. Beside the BMW Museum is the BMW Tower, which has been the global headquarters of the Bavarian carmaker for over three decades. The BMW HQ is also called BMW-Vierzylinder, literally BMW four-cylinder because of the shape of the building. It consists of four vertical cylinders connected to each other. Interestingly enough, the cylinders do not actually touch the ground, but are supported by a central support tower. Back to the BMW Welt. Entrance is free to the public. It's basically an exhibition facility presenting the current BMW models, a few interactive displays showcasing BMW technology, and a distribution center for BMW cars. Just across the highway is the Olympiapark, built for the 1972 Summer Olympics. First thing you'll see is the Olypiaturm (Olympic Tower). The 291-m high tower basically functions as a communications tower broadcasting analog and digital radio and TV channels. Aside from the requisite observation deck, the tower also has a revolving restaurant. Just beyond are the Olympic Hall (Olympiahalle) and the Olympic Swim Hall (Olympia Schwimmhalle). At this time, only the Swim Hall is open. Further on is the Olympic Stadium, but decided to cut my tour short and head back. Off the train at Konigsplatz, I make my way to the wide plaza designed by Karl von Fischer and Leo von Klenze at the command of Crown Prince Ludwig of Bavaria. On the west side of the plaza is the Doric memorial gate Propylaea. Walking down Konigsplatz street, there's the Iconic Glyptothek museum on the left and the Corinthian State Museum of Classical Art (Staatliche Antikensammlungen) on the right side. At the end of the avenue is Karolinenplatz, a square/roundabout with a 29m-tall obelisk in the middle. The obelisk was erected in 1833 in memory of 30,000 Bavarian troops who died fighting for Napoleon against the Russians and the Austrians in 1812. Moving south, I end up at the Alter Botanischer Garten. It's really quite late now, so there's nothing to see in the garden. Beyond the Fountain of Neptune, I find myself along Elisenstrasse with the magnificent Justizpalast. Ten more minutes, and I'm back at my hotel. Early dismissal from class today. Instead of going back to the hotel, I took the U3 straight to Giselastrasse. Walking down the wide avenue of Leopoldstrasse, I pass by Siegestor (Victory Gate) in the middle of a big roundabout. The Siegestor is a three-arched gate topped with a sculpture of Bavaria on a chariot being pulled by four lions. Cars were going all around me, while I stood in the middle of the roundabout, in knee-deep snow, taking pictures of the gate. Further on along Ludwigstrasse, I pass by the Ludwig Maximilian University of Munich (LMU), Ludwigskirche (Catholic Parish and University Church St. Louis), and the Bavarian State Library (Bayerische Staatsbibliothek). Too bad I didn't go in Ludwigskirche. Its altar fresco is supposedly the largest in the world. Walk, walk, walk, I end up again at Odeonsplatz. Last time I was here on Sunday, my camera batteries shut down due to the cold weather, so I wasn't able to take any pictures. Time to explore the Hofgarten again. In the middle of the Court Garden is the Diana pavilion. If you look closely, on top is a replica of the sculpture Bavaria. On one side of the garden is the Festsaalbau of the Munich Residenz. On the eastern end is the Bavarian Staatskanzlei (State Chancellery), which used to be the Army Museum. I continued along the shopping street Maximilianstrasse with its posh boutiques and luxury shops until I got to Maxmonument, dedicated to King Maximilian II of Bavaria. The statue was sculpted by Kaspar von Zumbusch. I could've pushed on to the palatial Maximilianeum, which is right across river Isar, but I decided to double back. Leave some interesting places to explore next time. Back at Max-Joesph-Platz, where the royal avenue of Maximilianstrasse started, I loitered around to take more pictures. In the middle of the plaza is a monument called Max-Joseph Denkmal, as a memorial for King Maximilian Joseph. Behind the statue is the Bavarian State Opera. On the left is the Munich Residenz and the Residenz Theatre. Beneath the plaza is a subterranean garage. With that, I took the train to Marienplatz for more shopping.